When Reloder 17 first became available (in limited quantities) our team tested it and found that it possessed some remarkable qualities. In certain cartridges, such as the 6XC and .284 Winchester, Reloder 17 provided significant increases in velocity compared to other popular propellants. We’re not talking about a mere 10 or 20 fps gain. Reloder 17, in some cartridges, lets you shoot 100 or even 150 fps faster than ever before. (RL 17 is a slow-burning powder that works best in cartridges where you might otherwise use H4350, Reloder 22, or H4831sc.) Needless to say, when the word got out, Reloder 17 quickly sold out at the major vendors such as Grafs.com and Powder Valley. 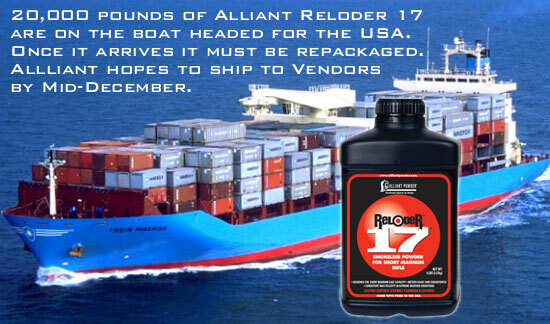 We’ve been informed that a 20,000-lb shipment of Alliant Reloder 17 is on its way to the USA via cargo ship. Once it arrives on American shores it must clear customs, then be inspected, and then transferred from bulk containers into consumer packaging. That will take a few weeks. Alliant tells us it hopes to have Reloder 17 back on dealers’ shelves by Mid-December. Share the post "Alliant Reloder 17 Status Report"
“Got a good chance to shoot my tube gun today at 600 yards. I put a new Bartlein barrel on it chambered in 6BR. I had to do VERY little load develpment to find a good load. In fact all loads I tried would have shot a 200 out 200 possible at 600 yards. The winner load is a classic 6BR recipe right from the pages of this web site: 30.0 grains Hodgdon Varget, CCI 450 primers, 105gr Berger VLD seated .010″ into the lands, Norma brass with two-thousandths (.002) neck tension. The gun, built on an Eliseo B1/R1 (single shot) tube stock*, has a trued Remington action with Dave Kiff (PT&G), fluted, coned bolt with Sako extractor, GTR firing pin, spring and shroud, and Rifle Basix trigger. The barrel is a 30″ Bartlein, 1:8″ twist 5R heavy Palma. My reamer is a .272 neck for Norma brass and .104 Freebore. Centra rear iron sights are fitted. Weather was very dark and cloudy but there was very little wind. On the MR-1, 600-yard target I squeeked out a 200-16X. This little case is a flippin’ hammer at 600 yards! What a lot of fun to shoot. Lynwood Harrell just sent me a die in the mail so I’m ready for the season. I can see why the Europeans shoot this case at the very demanding 300-meter target! This little case is a real winner at 600 yards. The nice thing about it is there is no false-shoulder/fire-forming hassle, and no necks to turn. Just load it and shoot it. 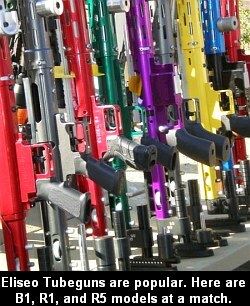 I have two rifles that have turned necks and that is a lot of work when you’re doing 200 pieces of brass per rifle. The 6BR is just not picky. In fact the bullets just seem to know where to go. *The B1 is the original Eliseo single-shot Tubegun stock, designed for the Barnard action. 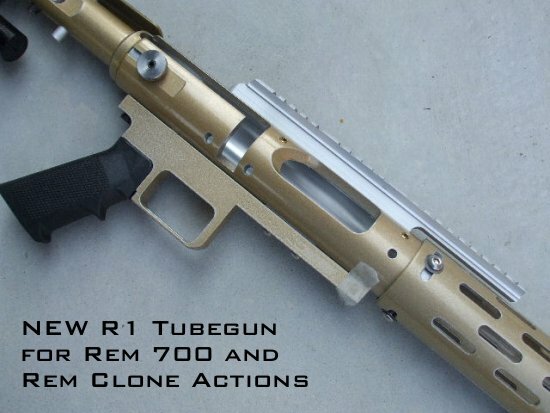 The newer R1 has a similar design, but is configured for a Remington 700 or Rem-clone actions. Share the post "Praise for 6mmBR for 600-Yard High Power"